Hosting a dinner party requires the right tools. Now gravies or sauces can be created ahead of time and kept warm until the hostess is ready. The gravy, sauce, & syrup warmer keep gravies and sauces hot and ready to serve whenever your guests are ready. The ceramic gravy boat sits on top of a warming base. The detachable cord allows the entire unit to be brought to the table. 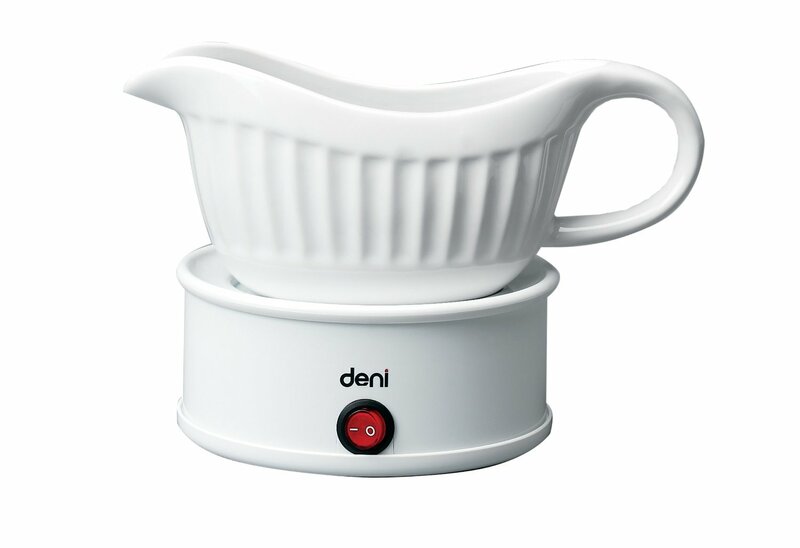 Features of this appliance is: 18 oz ceramic gravy boat; Easy pour spout eliminates spills; Keeps contents warm and ready to serve; Detachable cord for convenient table-top serving; Great for gravies, bearnaise, bordelaise, hollandaise and cheese sauces; Also great for melted butter, dressings, dips, and ice cream toppings; On/Off switch; Ensures gravies and sauces are kept at a warm temperature during the entire dining experience.